Staff Correspondent: The leather industry is facing a tough time due to the relocation of tanneries to the incomplete leather estate in Savar. The delay in setting up of necessary facilities in the new leather estate, especially a central effluent treatment plant (CETP) and water treatment plant, pushed many tanneries into a state of dislocation. Many leather factories are failing to fulfil the buyers’ demand, causing a constant fall in export earnings and driving the buyers away. In the last 10 months of the current 2017-18 fiscal year, export earnings from the entire leather sector saw a negative growth of more than 10 percent. Export Promotion Bureau (EPB) data show that exports from leather and leather products during the July-April period of the current fiscal year stood at $916.74 million against the target of $1122 million. The sector fetched $1018.86 million in the same period of 2016-17 fiscal year. Except for the footwear, earnings from leather and leather products saw a negative growth of 27.10 and 19.46 percent respectively in the first 10 months of the current fiscal year. Exports income from leather footwear saw a positive growth at 6.60 percent but fell short of target. During the July-April period of current FY, export income from leather fell to $155 million from $213 million during the same period of the last FY. Exports earnings from leather products plunged to $300 million from $373 in the same previous period. 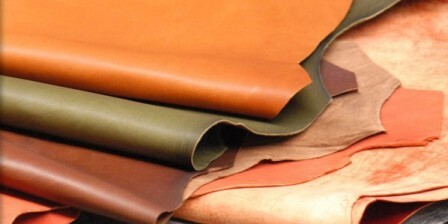 Market insiders said the leather sector will miss its export earnings target of around $1,400 million in current fiscal. Exporters said they are facing huge losses due to a fall in exports while the quality of around 25 percent raw leathers was affected during the relocation process. They said the buyers are also unhappy as the leather product manufacturers are failing to meet the compliance standards in Savar leather estate. “The entire sector faces a 30 percent fall in exports, but my exports dropped by 50 percent during the last one year as I lost several potential buyers,” said Hajee Abdus Sattar, owner of Bashar Leather Complex. He said the delay in setting up of the CETP and water treatment plants hampered production while the relocation process has put a huge financial burden on the tanners. Many tannery owners said the authorities were focusing on the relocation of factories, but failed to put emphasis on central effluent treatment plant and other necessary prerequisites before the relocation of tannery units. The tannery estate project also failed to provide proper support to the linked sectors like chemical, raw leather suppliers, and casual workers and did not create any accommodation facilities for 30,000 workers around 4,000 van drivers engaged in the leather sector. Bangladesh Tanners Association (BTA) general secretary Shakhawat Ullah said the relocation process has halted the growth of the leather sector and they lost many buyers during that transition. “Tanneries were relocated for ensuring compliance which did not take place as they failed to complete the CETP till now,” he said. Urging the government to complete the set up of CETP, Shakhawat Ullah said there is still time to reserve the situation. He also called upon the government to put more focus on the development of this thriving sector. Tannery Estate project director Ziaul Haque said CETP project is progressing fast and is expected to complete soon. In past 10 years from FY 2006-07 to FY 2016-17, the leather industry has been witnessing an average annual growth of 16.65 percent. But the growth rate is going to deviate in current fiscal. The country fetched $1200 million from this sector in FY 2016-17, $1100 million in FY 2015-16, $922 million in FY 2014-15, $790 million in FY 2013-14 and $580 million FY 2012-13. The sector currently has around 220 tanneries, 2500 leather products making units and 90 large firms, contributing 4 percent to country’s total export earnings and almost 90 percent of its finished products are being exported. Asia is the largest market for Bangladeshi leather products, generating 40 percent of the annual exports income from this sector followed by Europe (around 33 percent), North American, Africa and Australia.